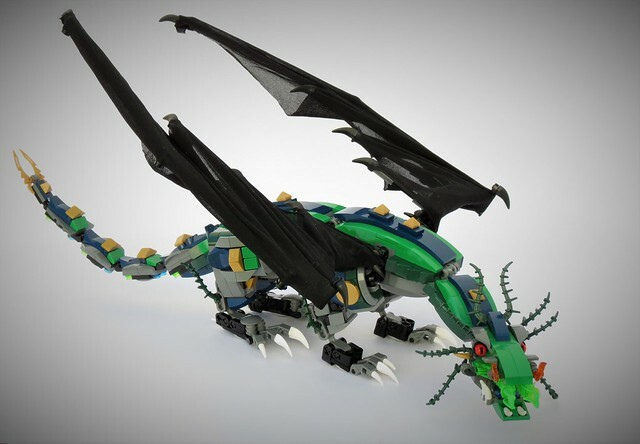 Builder Pol Mac is pretty freshly out of his dark ages, but seems to have come out with a vengeance, check out this gorgeous (first ever) dragon! It's designed to be flexible without big gaps in the body, and I'd say it was successful. My favorite detail has to be the eyes though, what a simple, elegant solution. The combination of lever base and mudguard has instant expression.